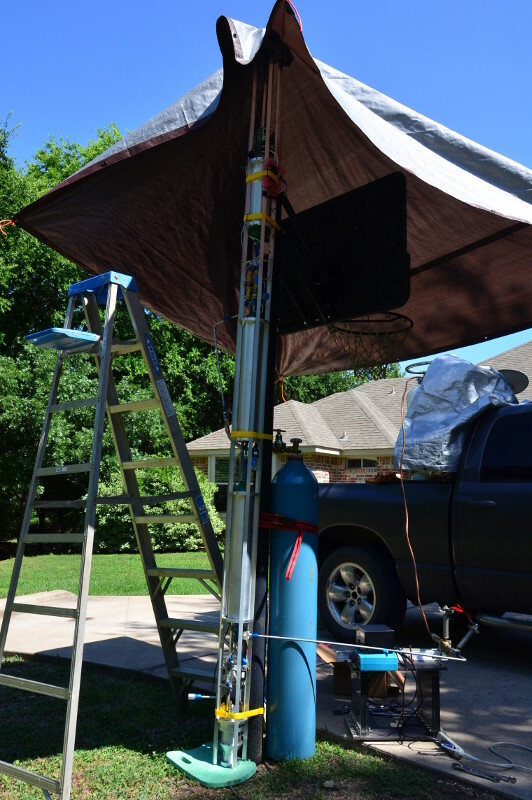 Robert has posted a new update on his project to build a flying liquid-fueled rocket, this latest updates was a series of cold flow tests to verify the rocket setup as it would fly. I ran some cold tests on my rocket this weekend in preparation for a hot-fire later this summer or fall. The main purpose of the tests was to check out the vehicle plumbing with LN2 and water along with using the real flight computer instead of the data and control system I used for my static tests. Overall things went pretty well but there are enough things to follow up on that I’d like to repeat the tests.